An Alaska prosecutor says state charges are expected to be filed Monday in a case involving a 10-year-old girl’s death. Forty-one-year-old Peter Wilson already is charged in federal court. He pleaded not guilty Friday to making false statements as FBI agents and others searched for Ashley Johnson-Barr in Kotzebue, a remote Inupiat town on Alaska’s northwestern coast. The girl disappeared Sept. 6, and her remains were found Sept. 14. John Skidmore, the criminal division director for the state Department of Law, says Ashley’s family asked that any further legal action be held off until after the girl’s funeral Saturday. He declined to say if the state charges would be filed against Wilson. A federal grand jury indictment says Wilson took a cellphone away from Ashley and lied when he said he found it. An Alaska man linked to a 10-year-old girl’s death has pleaded not guilty to lying to federal authorities investigating the case. After entering his plea Friday in U.S. District Court in Anchorage, Peter Wilson was scheduled for a Nov. 19 jury trial. The 41-year-old is charged with making false statements as FBI and others as they searched for Ashley Johnson-Barr in Kotzebue, a remote Inupiat town on Alaska’s northwestern coast. 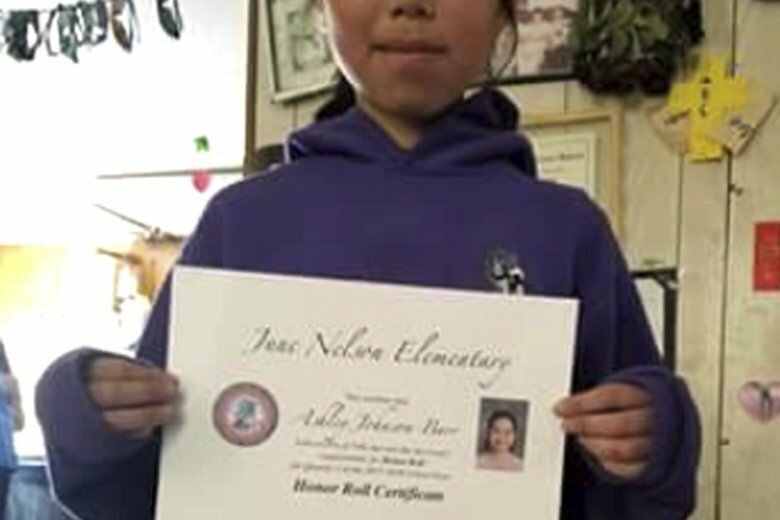 The girl disappeared Sept. 6, and her remains were found Sept. 14 in rugged tundra accessible only by a four-wheeler or on foot. The indictment also alleges Wilson lied about knowing Ashley and using a four-wheeler the day she vanished. No one else has been charged in connection with the death, a suspected homicide. An Alaska man linked to a 10-year-old girl’s death through her cellphone was due in court Friday. Peter Wilson is set for arraignment in U.S. District Court in Anchorage. The 41-year-old is charged with making false statements as FBI and others searched for Ashley Johnson-Barr in Kotzebue, a remote Inupiat town on Alaska’s northwestern coast. A federal grand jury indictment says Wilson took the cellphone away from Ashley and lied when he said he found it. This story has been corrected to reflect the accurate spelling of Ashley’s first name.